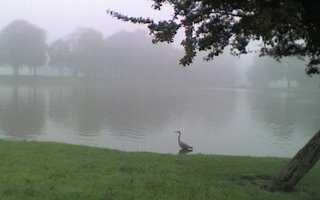 A heron in the park on a misty morning as I walked to work. A sunset from the office window towards the Littlewoods Building. That's no heron, that's a plesiosaur, emerging from the lake.